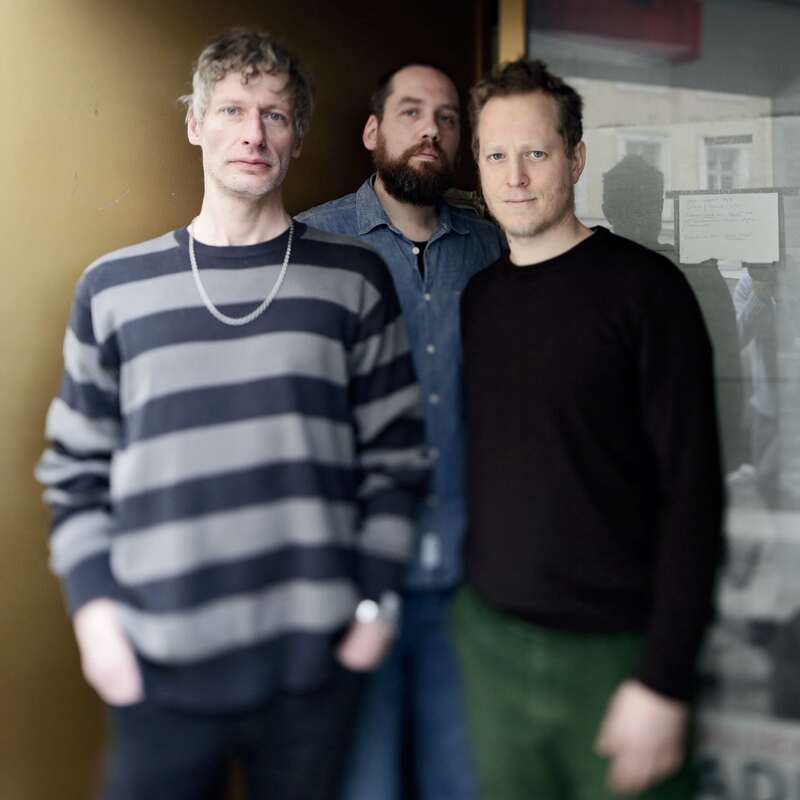 Vienna is the home of Radian, Martin Brandlmayr (drums, electronics), John Norman (bass), and Martin Siewert (guitars, electronics), who have been in uenced by and shaped the city’s vivid scene of electronica in the early 2000s. Vienna is currently a wide open creative home to many new music composers and innovators. Today, the members of Radian are pillars of that community. Martin Siewert joined the band 2011, and On Dark Silent O is the rst release with the new lineup. The title of the album is a nod to Ad Reinhardt, whose art and theory has been in uential on the trio. The juxtaposition of extremes (on/o ) is present in Radian’s work: the contrast between light and darkness; and in musical terms, sound and silence and brightness/darkness of timbre. Radian creates a eld of tension between extreme dynamics, freely improvised parts and meticulous construction, an inherent contrast between soft sounds and sharp edits. Radian’s recording/creative process takes a central role in shaping the pieces. It is a two-fold process of creating material through improvisation, sound experiments and processing on the one hand, and a routine of carefully selecting and editing this material on the other. It is often the case that mere snippets are used out of hours of sound material. The contrast between the magic of the moment, spontaneous live performance and its subsequent careful construction shape the quality of the pieces. Radian likes to deal with sound that could be seen as byproducts of a musical process and incorporate them into its pieces — the sound of a cable entering the socket of a guitar, the sound of a switch, hums, sound of the ngers tapping on the string of a bass or the sound of the hand gliding between two chords of a guitar. These sounds are not deleted, or hidden, they are often transformed into central elements of the pieces. The track “Blue Noise Black Lake” was built around a sample Radian recorded of Mats Gustafsson playing the pads of his saxophone. Radian uses the method of “microscopic“ recording to zoom into sounds that would more typically be overlooked: the rattling of a marble on Brandlmayr’s crotale placed on a snare like in “Codes and Sounds,” the beauty and richness of cymbals, acoustic guitars played quietly and recorded closely. The title piece “On Dark Silent O ” was inspired by Austrian lmmaker Peter Tscherkassky’s Outer Space, masterful black and white collage created of found footage of a horror lm. Radian premiered an early incarnation of On Dark Silent O alongside the 35mm live lm projection, at the Vienna international lm festival, in the beautiful, historic theatre Gartenbau. Although the album version transformed from the debut, the atmosphere, the ickering of light and the mystery of Outer Space is still present in the piece. This is one aspect. The album also nds Radian playing more direct and more physical than they ever have. This might derive from the fact that that pieces like “Pickup Pickout”, “Rusty Machines”, and “Dusty Carpets” have been centerpieces of their recent live shows. On Dark Silent O has a totally unique groove and is a remarkably individual musical statement. Martin Brandlmayr works in the eld between improvised music and composition. He has performed and recorded with Otomo Yoshihide, John Tilbury, Christian Fennesz, David Sylvian and many more. He has recently focused on composition and writing for various ensembles. He currently plays as a duo with ErikM called Ecotone and has performed with and released several albums as part of Polwechsel and Trapist (with Siewert and Joe Williamson).